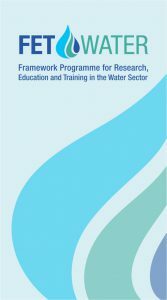 In 1996 the Department of Water Affairs and Forestry requested support from the United Nations Educational Scientific and Cultural Organisation (UNESCO) and the World Meteorological Organisation (WMO) to assess education and training needs for integrated water resources management in South Africa. The assessment was conducted in 1998 at national, provincial and community levels. This assessment evaluated the education and training needs and capacities of the then Department of Water Affairs and Forestry and linked it with the needs of other government departments, non-governmental organisations and the private sector dealing with water. The assessment took into account various imperatives, including South Africa being a country in transition, its affirmative action policy, staff and career development concerns, capacity building required for achieving sustainable development and the need to link and interact with efforts by southern Africa and the international community. The conclusions of the assessment stimulated the then Department of Water Affairs and Forestry to embark on a concerted process of establishing a framework programme for effective cooperation for the provision of education, training and capacity building in the water sector. In this regard, FETWater Phase I, 2002 to 2005, and Phase II, 2007 to 2010, were implemented, resulting in formation and support of seven thematic areas. On the basis of the outcomes of the impact assessment report of FETWater Programme Phases I and II, completed in 2010, and a meeting held between the then Department of Water Affairs (DWA) and UNESCO on 26 and 27 August 2011, recommendations were made to continue into Phase III of the Programme, as the Programme had proved to be effective in addressing its capacity needs for effective implementation of the National Water Act (Act 36 of 1998).